Receiving HCAHPS scores one month or more after a hospital stay leaves a gap when building patient experience improvement strategies. Those gaps can lead to service recovery issues or low satisfaction scores that impact reimbursement and reputation. Join this webinar to discover how Hunt Regional Healthcare redesigned the rounding process to capture requests, concerns and compliments in real-time, resulting in service response times that can be measured in minutes instead of days or weeks. 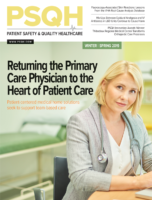 And, learn how nurses now use rounding data to improve post-discharge follow-up calls in an effective effort to have more meaningful conversations with patients and reduce readmissions.